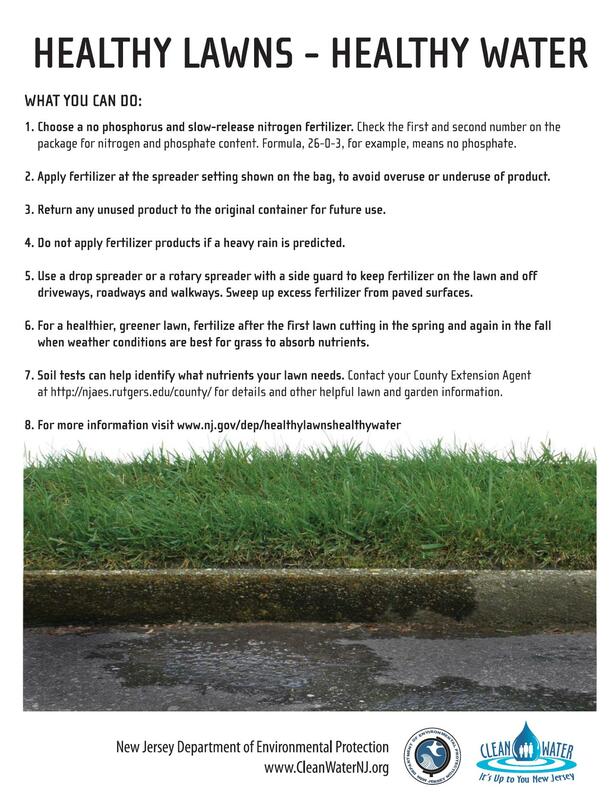 Your everyday activities can affect water quality. 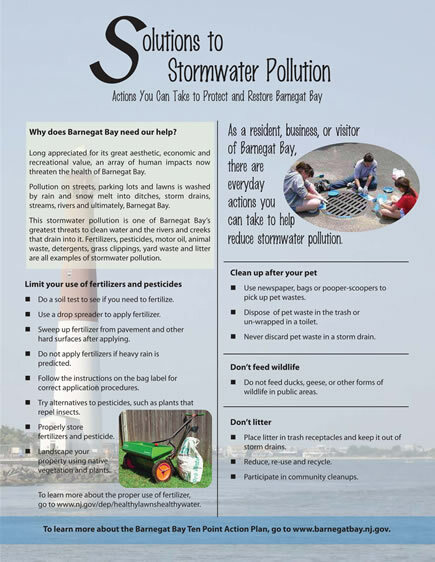 As a reminder the New Jersey Department of Environmental Protection has made Tip Cards, so people don't forget the small things that can be done to protect water quality. Feel free to download them and pass them out in your neighborhood.